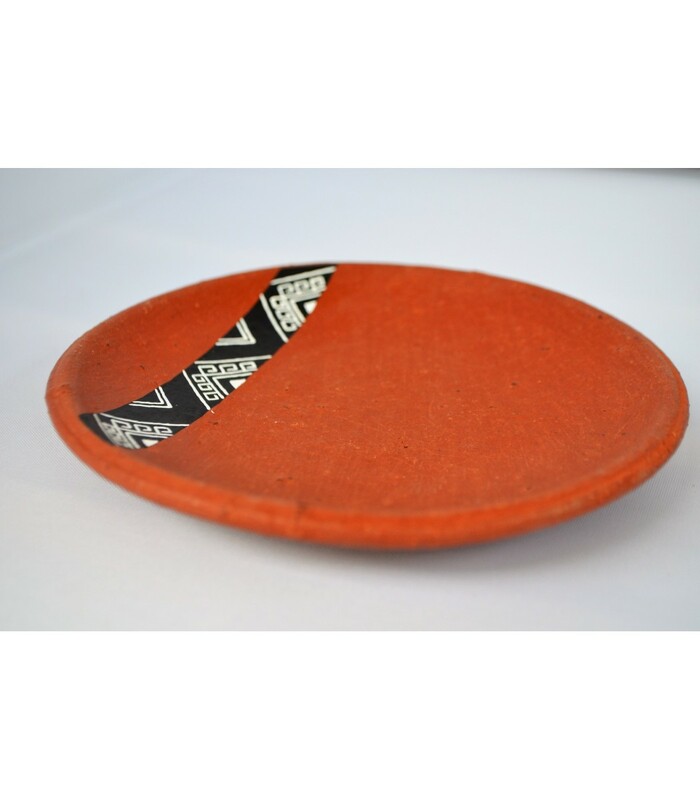 Nas set of cup and saucer made of red clay from Ocozocuautla de Espinoza, Chiapas. Pottery from Chiapas is, perhaps like no other place in Mexico, as it preserves key characteristics that resembles the techniques and designs used in the past and that will be used in future generations. Pottery is one of the most ancient activities of human history. One could say that while other handicrafts are special and specific from different cultures due to their access to raw materials, pottery is a worldwide tradition that allows us to know vanished cultures and civilizations. 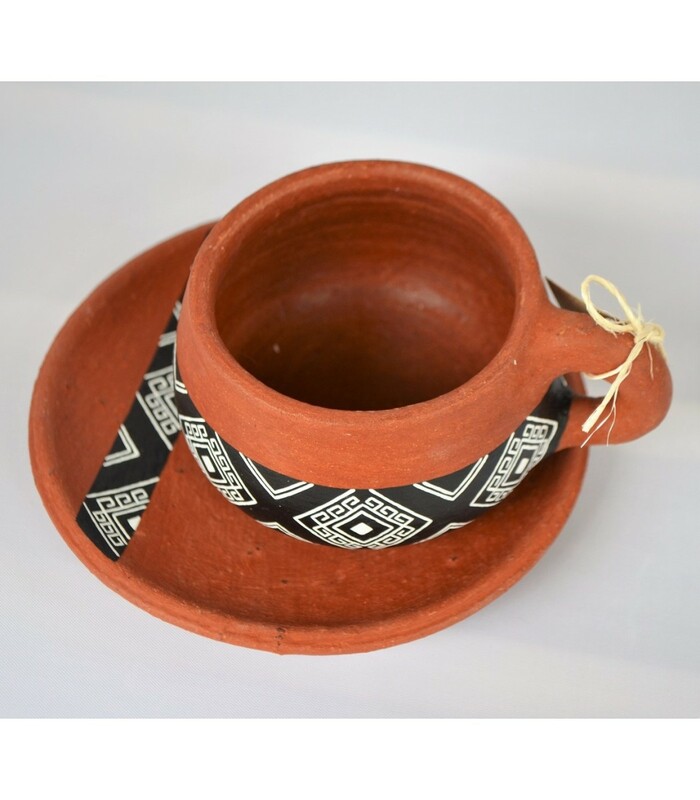 Pottery was one of the main pre-Hispanic activities, where they used to create from simple artifacts for domestic use to ritual and personal ornaments. 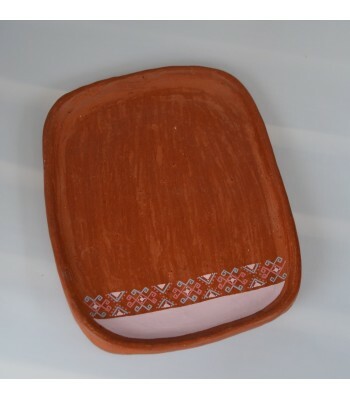 Burnished clay is the most ancient pottery technique that gave birth to the contemporary pottery. Burnishing is a technique that makes pottery pieces waterproof so they can hold liquids, besides, this will give the piece a unique shine. Currently, Mexico has many regions where potters continue burnishing clay with river stones and plastic pieces. Set of cup and saucer made of burnished red clay, hand painted with lead-free vinyl paint, and finished with a natural touch by using the mechanical lathe technique and stone burnishing. 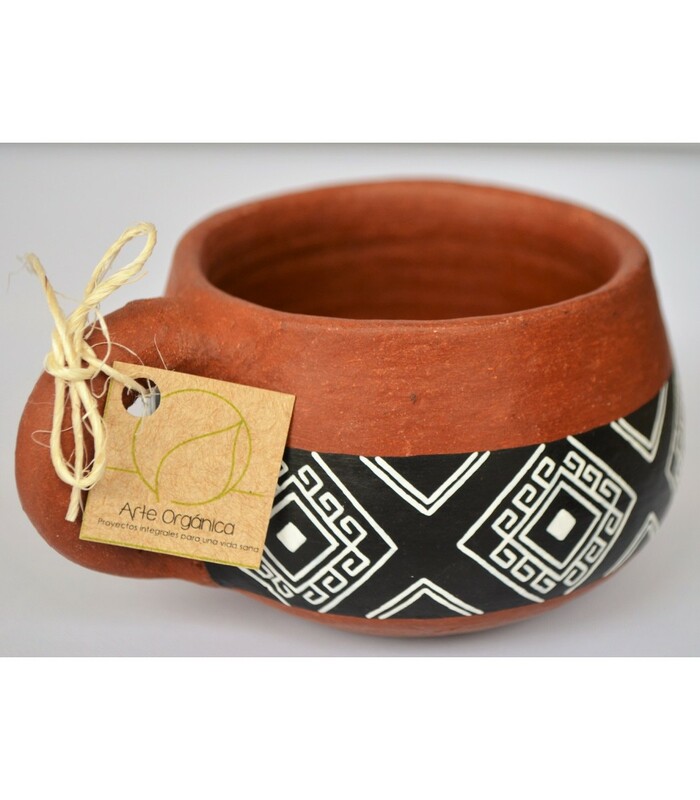 Made by artisans from Chiapas. Cup: Height 0.39" Diameter: 3.54" Saucer: 5.90"
Arte Orgánica was founded in order to rescue the Zoque pottery tradition, to preserve traditional techniques that won’t have a negative effect on the consumer’s health, and to create an innovative product with a special design that thanks to the added value will combine Zoque handicrafts with textile iconography from Chiapas. 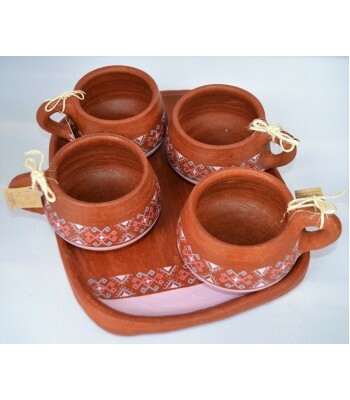 Tawa set of four cups and a serving plate made of red clay from Ocozocuautla de Espinoza, Chiapas.